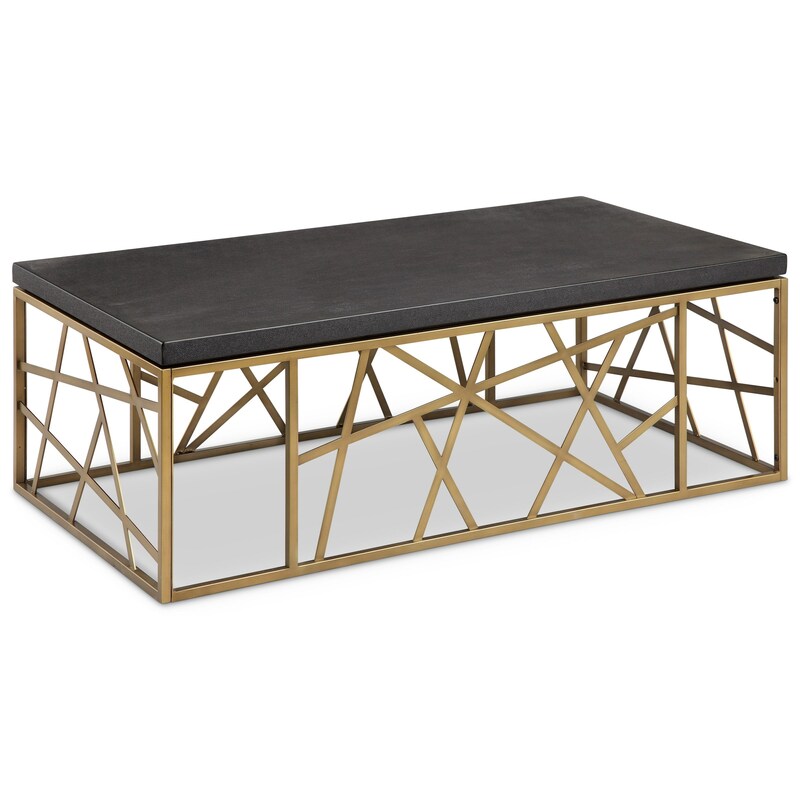 Create a contemporary atmosphere in your living space with this unique rectangular cocktail table. The piece features a metal frame consisting of random lines creating interesting geometric shapes, while being finished in a dazzling antique gold. The table top is constructed from MDF and finished in a black Shagreen for a bold, textural counterpoint. The Sarapa Rectangular Cocktail Table with Antique Gold Base by Magnussen Home at HomeWorld Furniture in the Hawaii, Oahu, Hilo, Kona, Maui area. Product availability may vary. Contact us for the most current availability on this product.